TRINIDAD, Feb 20 2015 (IPS) - Jenny had gone to bed feeling well, but an hour into her sleep she suddenly awoke with a “stiff, cramping pain” behind one knee. Within the next hour the pains had multiplied and both knees began to lock, followed by stiffened fingers and pains in her chest, along with a fever. Jenny Gittens, 61, described her experience with chikungunya over the next two weeks as marked by excruciating pain. “If I had a choice between chikungunya and having to deliver a baby I would go for the baby pains, it was that bad,” Gittens, a mother of two from Trinidad, said. Over the following days she developed a rash that lasted for a few days and pains in her collar bone that left her bent over. “I just could not straighten up…You can’t turn, you just lie there. It was really excruciating,” she told IPS. Though Gittens’ case was unconfirmed, it fit the description of chikungunya, the mosquito-borne disease whose name comes from an African word meaning “bent over with pain”. According to the Caribbean Public Health Agency (CARPHA), as of Feb. 7 this year, there were a total of 4,485 confirmed/probable cases of chikungunya, and just over 87,000 suspected cases in CARPHA’s 24 member states comprising Caribbean nations. Throughout the Americas, with the exception of the U.S., there were more than 800,000 suspected cases. There were 21,000 confirmed or probable cases including figures for the United States. The illness, which is borne by two types of mosquitoes, is transmitted by the Aedes Aegypti mosquito in the Caribbean, said Dr. Dave Chadee, an entomologist and professor of environmental health at the University of the West Indies, St. Augustine, in Trinidad. Though the illness has long been known in Asia and Africa, its arrival in the Caribbean as a serious health threat has occurred only in the past 15 months and its transmission is suspected to have been due to a visitor from Asia passing through the region. Prof Chadee told IPS that a mosquito feeding on the blood of an infected person would pick up the virus. The virus would then multiply in the vector’s digestive system before passing through the peritrophic membrane into its circulatory system from where it would migrate to the salivary gland of the mosquito next to the proboscis. From there, the virus would then be transmitted to a human victim when the mosquito takes its next blood meal. A number of factors have contributed to the rapid transmission of the virus in the Caribbean over the past year, said Chadee, including climate variability. Climate variability has contributed to higher temperatures as well as heavy rains and flooding in some parts of the Caribbean, including, most notably within the past 15 months, the Christmas floods in the Eastern Caribbean in December 2013. Such conditions make the seasonal pattern of the disease an issue in its transmission, Chadee said. However, “in the Caribbean there are few areas where you do not find mosquitoes,” said Dr. Christian Hendrickson, medical entomologist and vector-borne disease consultant at CARPHA, “and the Aedes aegypti mosquito is highly domesticated so that it can thrive anywhere in the Caribbean where people live and create conditions that allow it to thrive. “In general, warmer temperatures allow mosquitoes to develop faster, and rains facilitate more mosquitoes to be produced. Heavy rains are likely to be followed by more mosquitoes,” Hendrickson told IPS. Hendrickson said the spread of the disease in the region was “quite rapid.” However, “the transmission of chikungunya is now at a low point in the transmission season due to a decrease in rainfall but this may change when the rains return in May-June as the conditions will become more favourable for the mosquito vector. To mitigate the spread of the virus, “what can and must be done is to maintain its populations at a very low level so that the possibility of transmission of chikungunya and dengue is greatly reduced,” Hendrickson said. 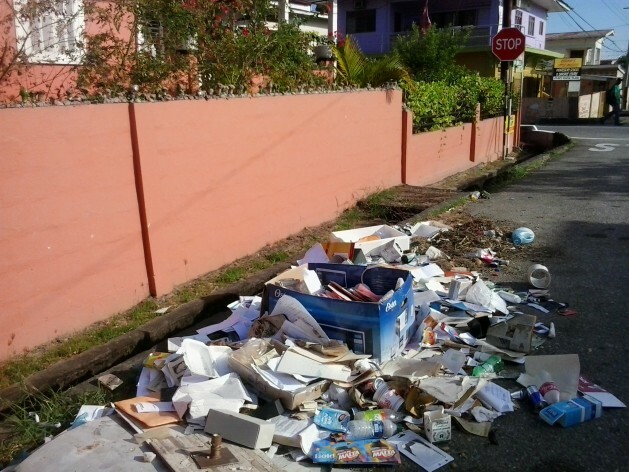 National vector control programmes and homeowners have an opportunity to reduce and eliminate the available mosquito breeding sites to prevent a recurrence of last year’s epidemic, he added. This pre-seasonal treatment strategy would require killing the mosquito eggs and instars before the larvae rapidly multiply as usual during the two weeks immediately after the rainy season begins. “So the mosquito population would remain flat, and that intense transmission period would be broken,” Chadee said. Chadee said he has done work on chikungunya in the Indian Ocean islands where this strategy was applied with success. He encouraged focusing on the elimination of breeding grounds for mosquitoes as the best means to mitigate the spread of the virus. The mosquitoes thrive where people won’t tidy up or pick up garbage; then they get a disease where they can’t bend to pick up things either. Interesting!